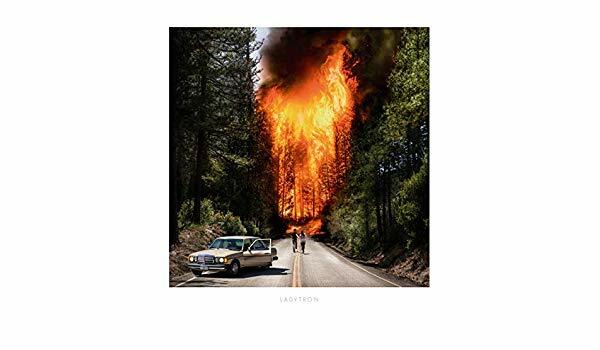 An early contender for the albums of the year spotlight and comeback of the year is Ladytron. After a mini-tour near the end of 2018, including a Glasgow gig, the band ended a seven year hiatus with their recent self-titled album, which has met with strong critical acclaim. 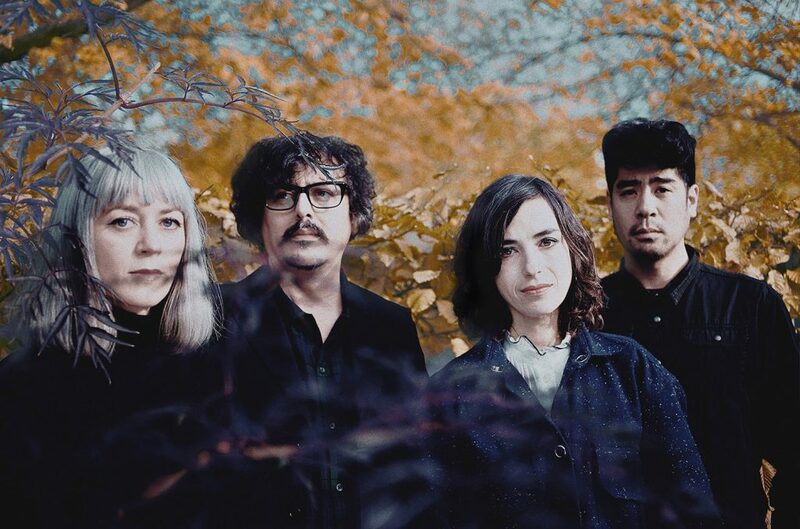 We caught up with Helen Marnie [HM], Daniel Hunt [DH] and Reuben Wu [RW] from the band before they, and Mira Aroyo, headed across the Atlantic for a series of live shows. Was there a big decision in pulling everything back together or was it natural? [DH]: It was basically a case of waiting for everyone to be ready to do it and that moment came in June 2016. Prior to that when we asked around if we were ready, there was always someone who has something going on. We had been working on music before that, it wasn’t as if we were starting from zero at that point. When you write songs, do you think it’s a Ladytron song or a song for a different project? [HM]: I think its slightly different. I know what is more likely to be a Ladytron song than a Marnie song. [DH]: I think so as well. I’ve been working with other artists and there are certain things I feel about the song…but of course, there are times when you change your mind or something comes up to suggest that this is a Ladytron track. How did the recording process go? [DH]: We were working remotely, which we always did, up to the point where you have the skeleton of the record and then you go into the studio. The studio was surprisingly easy, for me anyway, it felt easier than previous records. It was more relaxed, simpler. [RW]: It was a move back to how we worked in the past, it felt easy to click back into that. In that sense, was the break of benefit to the band? [RW]: Oh yeah, we felt fresh and that went on for the whole record. [DH]: We hadn’t really had a serious break since we started. There was an album every two years for ten years with a bunch of tours in between. I think every band reaches a point where it needs a break, but maybe we didn’t expect the break to be so long! With the evolution of the band’s sound – was this down to the passing of time or do you think it was shaped by the world today? [HM]: I think it’s both. The time away was good for us and the fact that we were concentrating on different things results in different inspirations. Coming back together at the time we did, the world is in a little bit of turmoil and that influenced our output too. [RW]: We were in a bubble for a while and then we left that bubble. We definitely feel as though we’ve had a lot more experiences and hopefully, we’re a bit wiser now. [DH]: Your world view changes. We’ve all experienced things in our life that we hadn’t before so it’s not just a reaction to the climate and the moment we’re in, it’s personal as well. Did you have any aims or goals for the album? [DH]: Not specific besides just get the record out and make up for lost time. We never really expected much beyond that. At the time of the interview, the album has been out for a week, how has the feedback been for you? [HM]: You never really know what to expect because you cannot judge that, we thought we had created something that was pretty special, that we all liked and which we were all happy with but you just don’t know how the public and your fans will respond. Thankfully, It’s been really positive, we’ve had some really great press. The stuff that I’ve read, I don’t think I’ve seen anything negative so that is a win! [DH]: It’s been very encouraging. One thing that I’ve liked is that some of the people who have written about it have made a real effort to understand it in a way that maybe wouldn’t have happened with previous records. There’s some quite detailed and insightful reviews, and that surprised me. Pleasantly surprised me. You made your live comeback at the QMU in November, how did you feel heading into the gig? [HM]: It was nerve-wracking. For me, I’ve done more gigs than these guys in the space we’ve been away so going on stage isn’t necessarily a panic for me, but it is different when I’m on stage with the band. There was pressure, a lot of pressure. [RW]: It was Glasgow too. [HM]: Yeah, Glasgow, so a hometown gig but we were nervous. As a collective, we can say we were nervous! [DH]: For me, once we were four or five songs, it was okay, all downhill from there. (After laughter from the band) Downhill in a good way, easy running from that point. After Glasgow, we had the Liverpool one, which was a big hometown gig for us and that was really good and by the time we reached London, it was all fine. It was just three shows but there was a lot of preparation and it was a successful return. To be honest, it was easier than what we imagined it to be. I had this idea it was going to be really difficult but as soon as we rehearsed, I thought, we’re playing music we know, it’s not that hard. It had been so long and I had did very few live things, a couple of guest appearances, since our break, so I was really happy with how the tour went. [RW]: I was surprised at how good muscle memory is. It was like oh, I haven’t played this song in seven years and yet once we were playing, it all came together. In terms of trying to relearn things, I was suffering from anxiety about the thought of relearning all the parts. I was even getting anxiety dreams but as soon as I started running through everything, I knew the songs. [DH]: When you don’t have your keyboard in front of you and you are thinking about things, it is worrying but as soon as you have your keyboard in front of you, it’s easier. [RW]: Yeah, you start to play and you think, okay, this is easy! At the end of the three gigs, were you keen to do more or was that enough for starters? [HM]: I think it was a nice intro. Three gigs, yeah, we can do this. [DH]: They were the biggest gigs we had done in the UK, it was enough. It was enough for us all to go back home and feel good about it. [RW]: It works! That was good to know. The live shows featured an extended line-up, how did that feel? [HM]: It’s nice to have a new line-up because it’s exciting and makes it more interesting for us. We’re coming back, so it’s nice to come back fresh and they’re really good musicians and they know what they’re doing on-stage. It made for more fun in that regard. What are the rest of your live plans for 2019? [DH]: We have got some other things already announced, a couple of gigs in Spain and then Moscow. We’re looking to do little pockets of show, playing in small bursts. That’s how we prefer to do it now. In the old days we would disappear for nine weeks and then go home for two days and none of us want to do that again. Doing it this way, we are able to be there and really enjoy it but then go home without disrupting our lives. I think it’s a trap for many bands. When bands are young, they want to go all in and do it all but they often get pushed too hard. [HM]: The problem now is that the only way bands can make money is by touring their arses off. You get them on the road for three months and it’s probably not that healthy for anyone. You can also become oversaturated if you end up going back to the same places every four or six months. [DH]: It’s also the case when every single band is on the road simultaneously, it’s not the same. It used to be when we started and you would ask who else was in town and there’d be like one other band. Nowadays, you ask that and you hear answers like Pixies, Paul McCartney, Black Sabbath, Depeche Mode! This is something the industry has to figure out because it’s not sustainable. However, for us, we’re going to focus on these short burst of shows and the places that have been most receptive to us. And aside from the touring, are there any plans or thoughts for the next record? [DH]: I don’t anticipate another seven year break between records this time. [HM]: That would be weird. [DH]: We could make a feature out that, this is what we do. [HM]: This is how we roll! [DH]: We could be like Kate Bush, coming back every 15 years or so. [HM]: Kate Bush is a bit bigger than us, c’mon! And with that, the band were ready for a record signing and to head into a weekend and trip that would take them to gigs in Mexico and Los Angeles. Even though there is a huge number of bands returning to the stage these days, it’s always good to see the acts that are committed to making new music and taking things at their own pace and terms. It is possibly easy for some bands to commit to major tours and “classic album” shows in an attempt to grab as much money as they can, so when a band sets out to prove they’re still relevant, regardless of their time away from the spotlight, it has to be applauded. The fact that Ladytron have returned with such a strong album, evolving their sound while still being instantly recognisable, has to be a win for all of us. As they said, it shouldn’t be anywhere close to seven years for the next album and hopefully it will be a much shorter length of time until the band play live in Scotland again.